Natural science is a major branch of science, that tries to explain and predict nature's phenomena, based on empirical evidence. In natural science, hypotheses must be verified scientifically to be regarded as scientific theory. Validity, accuracy, and social mechanisms ensuring quality control, such as peer review and repeatability of findings, are amongst the criteria and methods used for this purpose. Natural science can be broken into 2 main branches: biology (or biological science) and physical science. Physical science is further broken down into branches, including physics, astronomy, chemistry, and Earth science. All of these branches of natural science are divided into many further specialized branches (also known as fields), and each of these is known as a "natural science". In Western society's analytic tradition, the empirical and especially natural sciences use tools from formal sciences, such as mathematics and logic, converting information about nature into measurements which can be explained as clear statements about the "laws of nature". History and the humanities also use such methods, but rely more on qualitative research, so that social sciences are sometimes called "soft science", whereas natural sciences, insofar as emphasizing quantifiable data produced, tested, and confirmed through the scientific method are sometimes called "hard science". Philosophers of science have suggested a number of criteria, including the Karl Popper's controversial falsifiability criterion, to help them differentiate scientific endeavors from a non-scientific ones. Validity, accuracy, and social mechanisms ensuring quality control, such as peer review and repeatability of findings, are amongst the most respected criteria in present-day global scientific community. For a topical guide to this subject, see Outline of science#Natural sciences. This field encompasses a set of disciplines that examines phenomena related to living organisms. The scale of study can range from sub-component species were formed and their interactions with each other and the environment. 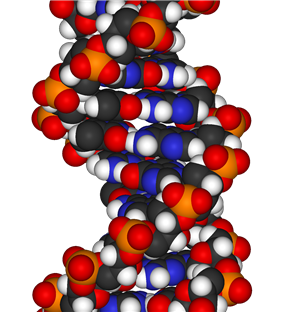 Some key developments in biology were the discovery of organic molecule. Modern biology is divided into subdisciplines by the type of organism and by the scale being studied. ecology looks at how various organisms interrelate. Materials science is a relatively new, interdisciplinary field which deals with the study of matter and their properties; as well as the discovery and design of new materials. Originally developed through the field of metallurgy, the study of the properties of materials and solids has now expanded into all materials. The field covers the chemistry, physics and engineering applications of materials including metals, ceramics, artificial polymers, and many others. The core of the field deals with relating structure of material with it properties. The basis of materials science involves studying the structure of materials, and relating them to their properties. Once, a materials scientists knows about this structure-property correlation, he/she can then go on to study the relative performance of a material in a certain application. The major determinants of the structure of a material and thus of its properties are its constituent chemical elements and the way in which it has been processed into its final form. These characteristics, taken together and related through the laws of thermodynamics and kinetics, govern a material’s microstructure, and thus its properties. The serious study of oceans began in the early to mid-1900s. As a field of natural science, it is relatively young but stand-alone programs offer specializations in the subject. Though some controversies remain as to the categorization of the field under earth sciences, interdisciplinary sciences or as a separate field in its own right, most modern workers in the field agree that it has matured to a state that it has its own paradigms and practices. As such a big family of related studies spanning every aspect of the oceans is now classified under this field. Some scholars trace the origins of natural science as far back as pre-literate human societies, where understanding the natural world was necessary for survival. People observed and built up knowledge about the behavior of animals and the usefulness of plants as food and medicine, which was passed down from generation to generation. These primitive understandings gave way to more formalized inquiry around 3,500 to 3,000 B.C. in Mesopotamian and Ancient Egyptian cultures, which produced the first known written evidence of natural philosophy, the precursor of natural science. While the writings show an interest in astronomy, mathematics and other aspects of the physical world, the ultimate aim of inquiry about nature's workings was in all cases religious or mythological, not scientific. Barr, Stephen M. (2006). A Students Guide to Natural Science. Wilmington, DE: Intercollegiate Studies Institute. Gohau, Gabriel (1990). A History of Geology. Revised and translated by Albert V. Carozzi and Marguerite Carozzi. New Brunswick: Rutgers University Press. Grant, Edward (2007). A History of Natural Philosophy: From the Ancient World to the Nineteenth Century. Cambridge: Cambridge University Press. Lagemaat, Richard van de (2006). Theory of Knowledge for the IB Diploma. Cambridge: Cambridge University Press. Ledoux, Stephen F. (2002). "Defining Natural Sciences" (PDF). Behaviorology Today (New York: Marcel Dekker, Inc.) 5 (1): 34. Mayr, Ernst (1982). The Growth of Biological Thought: Diversity, Evolution, and Inheritance. Cambridge, Massachusetts: The Belknap Press of Harvard University Press. Oglivie, Brian W. (2008). The Science of Describing: Natural History in Renaissance Europe. Chicago: University of Chicago Press. Prpic, Katarina (2009). Beyond the Myths about the Natural and Social Sciences: A Sociological View. Zagreb: Institute for Social Research. 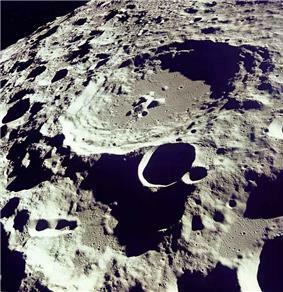 Simhony, M. (2006). 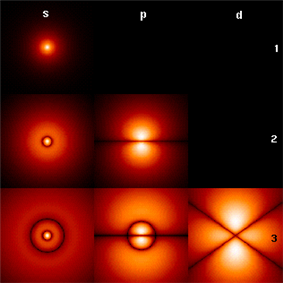 Invitation to the Natural Physics of Matter, Space, and Radiation. Singapore: World Scientific Publishing Co., Inc.
Stokes, Donald E. (1997). Pasteur's Quadrant: Basic Science and Technological Innovation. Washington, D.C.: Brookings Institution Press. ^ Hugh G Gauch Jr, Scientific Method in Practice (Cambridge: Cambridge University Press, 2003), pp 71–73. ^ "Natural History". Princeton University WordNet. Retrieved October 21, 2012. ^ Grant 2007, pp. 241-243. ^ Holmes, R (2008). The age of wonder: How the romantic generation discovered the beauty and terror of science. London: Harper Press. p. 449. ^ Lewis, Gilbert N.; Randall, Merle (1923). Thermodynamics and the Free Energy of Chemical Substances. later Printing edition (First ed.). McGraw-Hill Book Company. ^ Huggins, Robert A. (2010). Energy storage (Online-Ausg. ed.). New York: Springer. p. 13. 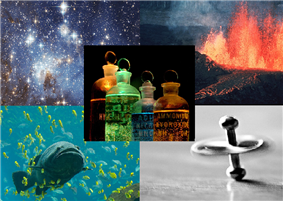 Significant advances in chemistry also took place during the scientific revolution. Antoine Lavoisier, a French chemist, refuted the phlogiston theory, which posited that things burned by releasing "phlogiston" into the air. Joseph Priestley had discovered oxygen in the 1700s, but Lavoisier discovered that combustion was the result of oxidation. He also constructed a table of 33 elements and invented modern chemical nomenclature. Formal biological science remained in its infancy in the 18th century, when the focus lay upon the classification and categorization of natural life. This growth in natural history was led by Carolus Linnaeus, whose 1735 taxonomy of the natural world is still in use. Linnaeus in the 1750s introduced scientific names for all his species. In the 1700s and 1800s, scientists including Charles-Augustin de Coulomb, Alessandro Volta, and Michael Faraday built upon Newtonian mechanics by exploring electromagnetism, or the interplay of forces with positive and negative charges on electrically charged particles. Faraday proposed that forces in nature operated in "fields" that filled space. The idea of fields contrasted with the Newtonian construct of gravitation as simply "action at a distance", or the attraction of objects with nothing in the space between them to intervene. James Clerk Maxwell in the 19th century unified these discoveries in a coherent theory of electrodynamics. Using mathematical equations and experimentation, Maxwell discovered that space was filled with charged particles that could act upon themselves and each other, and that they were a medium for the transmission of charged waves. The scientific revolution, which began to take hold in the 1600s, represented a sharp break from Aristotelian modes of inquiry. One of its principal advances was the use of the scientific method to investigate nature. Data was collected and repeatable measurements made in experiments. Scientists then formed hypotheses to explain the results of these experiments. The hypothesis was then tested using the principle of falsifiability to prove or disprove its accuracy. The natural sciences continued to be called natural philosophy, but the adoption of the scientific method took science beyond the realm of philosophical conjecture and introduced a more structured way of examining nature. By the 16th and 17th centuries, natural philosophy underwent an evolution beyond commentary on Aristotle as more early Greek philosophy was uncovered and translated. The invention of the printing press in the 1400s, the invention of the microscope and telescope, and the Protestant Reformation fundamentally altered the social context in which scientific inquiry evolved in the West. Christopher Columbus's discovery of a new world changed perceptions about the physical makeup of the world, while observations by Copernicus, Tyco Brahe and Galileo brought a more accurate picture of the solar system as heliocentric and proved many of Aristotle's theories about the heavenly bodies false. A number of 17th-century philosophers, including Thomas Hobbes, John Locke and Francis Bacon made a break from the past by rejecting Aristotle and his medieval followers outright, calling their approach to natural philosophy as superficial. Aristotle's works on natural philosophy continued to be translated and studied amid the rise of the Byzantine Empire and Islam in the Middle East. A revival in mathematics and science took place during the time of the Abbasid Caliphate from the ninth century onward, when Muslim scholars expanded upon Greek and Indian natural philosophy. The words alcohol, algebra and zenith all have Arabic roots. While Aristotle considered natural philosophy more seriously than his predecessors, he approached it as a theoretical branch of science. Still, inspired by his work, Ancient Roman philosophers of the early first century A.D., including Lucretius, Seneca and Pliny the Elder, wrote treatises that dealt with the rules of the natural world in varying degrees of depth. Many Ancient Roman Neoplatonists of the third to the sixth centuries A.D. also adapted Aristotle's teachings on the physical world to a philosophy that emphasized spiritualism. Early medieval philosophers including Macrobius, Calcidius and Martianus Capella also examined the physical world, largely from a cosmological and cosmographical perspective, putting forth theories on the arrangement of celestial bodies and the heavens, which were posited as being composed of aether. 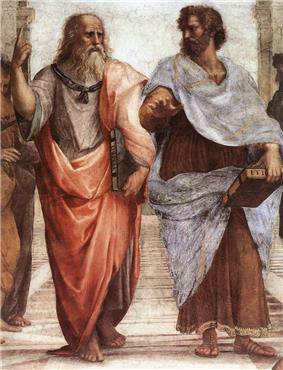 Later Socratic and Platonic thought focused on ethics, morals and art and did not attempt an investigation of the physical world; Plato criticized pre-Socratic thinkers as materialists and anti-religionists. Aristotle, however, a student of Plato who lived from 384 to 322 B.C., paid closer attention to the natural world in his philosophy. In his History of Animals, he described the inner workings of 110 species, including the stingray, catfish and bee. He investigated chick embryos by breaking open eggs and observing them at various stages of development. Aristotle's works were influential through the 19th century, and he is considered to be the father of biology. 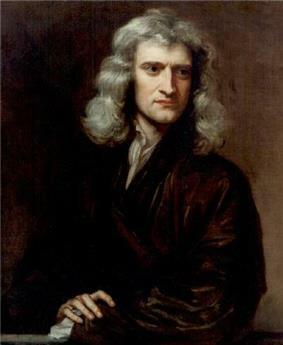 He also presented philosophies about physics, nature and astronomy using inductive reasoning in his works Physics and Meteorology. Pre-Socratic philosophers in Ancient Greek culture brought natural philosophy a step closer to direct inquiry about cause and effect in nature between 600 and 400 B.C., although an element of magic and mythology remained. Natural phenomena such as earthquakes and eclipses were explained increasingly in the context of nature itself instead of being attributed to angry gods. Thales of Miletus, an early philosopher who lived from 625 to 546 B.C., explained earthquakes by theorizing that the world floated on water and that water was the fundamental element in nature. In the fifth century B.C., Leucippus was an early exponent of atomism, the idea that the world is made up of fundamental indivisible particles. Pythagoras applied Greek innovations in mathematics to astronomy, and suggested that the earth was spherical. Little evidence survives of how Ancient Indian cultures around the Indus River understood nature, but some of their perspectives may be reflected in the Vedas, a set of sacred Hindu texts. They reveal a conception of the universe as ever-expanding and constantly being recycled and reformed. Surgeons in the Ayurvedic tradition saw health and illness as a combination of three humors: wind, bile and phlegm. A healthy life was the result of a balance between these humors. In Ayurvedic thought, the body consisted of five elements: earth, water, fire, wind and empty space. Ayurvedic surgeons performed complex surgeries and developed a detailed understanding of human anatomy.